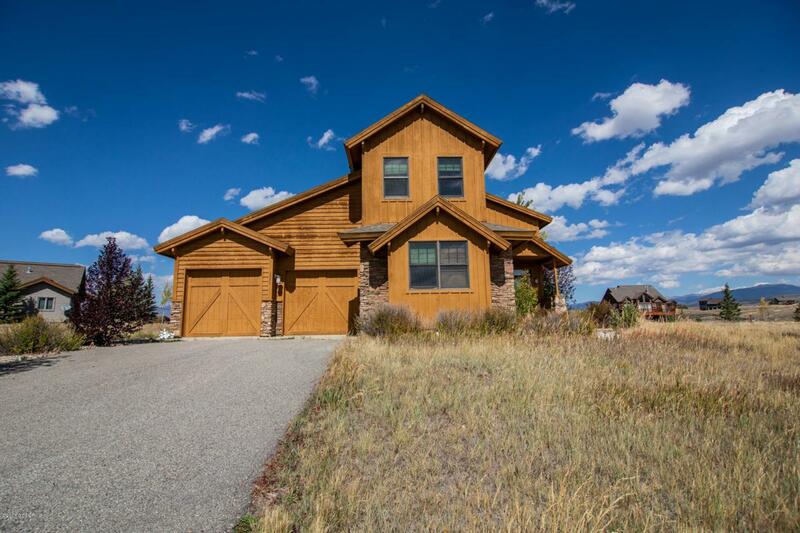 Beautiful home in the Grand Elk subdivision part of the famous Craig Stadler Golf Course. This 3 bedroom 3.5 bathroom home has never been rented by this owner and has been kept immaculately. Beautiful wood floors, granite counter tops, large windows with lots of light and 3 master suites make this home a wonderful find. Find out more about this community at www.grandelkliving.com.This home has many great features. Extra living space on the lower level abutting the kitchen and dining area. Two fireplaces one in the master and one in the living area. A powder room on the lower level. The home has 360 views of the mountains surrounding the area and the deck off the master bedroom really shows this off. Decks open onto a large backyard which backs onto open space. The are comprised of Trex for lower maintenance. A pantry in addition to all the cupboard space in the kitchen. Tons of storage. Multiple ceiling fans Jetted tub in the master suite. The HOA dues include: Use of the Grand Elk club with a Greg Sadler golf course, swimming pool and hot tub, with showers, changing area, restaurant, discount at pro-shop and restaurant, plowing and managing open space. There is a lift stop by the Wyndam hotel for the ski shuttle to Winter Park. The home backs onto open space giving a great area for kids to play or dogs to run. No danger of golf balls breaking your windows, but just a quick walk to the course. Whole house water filter.